Apple is working on building an all-new campus location in London's Battersea Power Station, where 1,400 employees will be moved from eight locations around London to occupy the company's new UK offices (via Evening Standard). 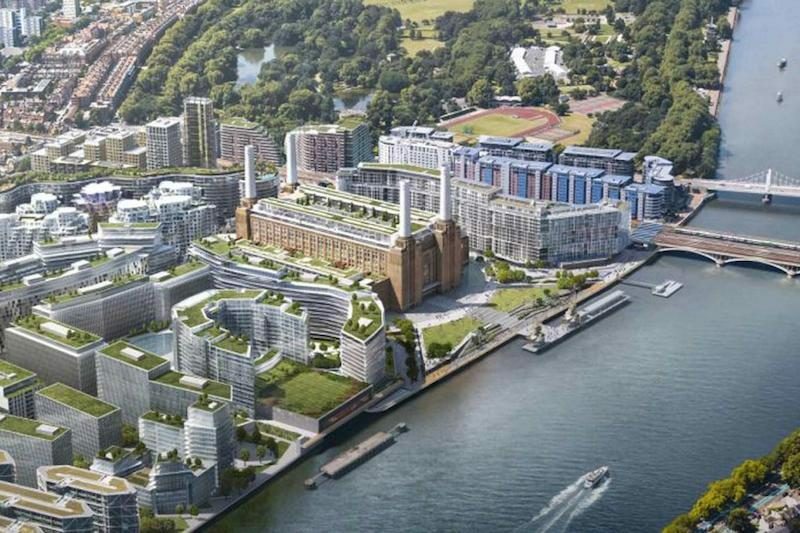 Battersea is currently under a "painstaking" restoration process after 33 years of being abandoned, with a predicted opening date for Apple's offices expected sometime in 2021. For the site, Apple is leasing 500,000 square feet in total, making it one of Apple's largest offices outside of its monolithic campuses in the United States. The company's official European headquarters is said to remain in Cork, Ireland, where 4,000 of its employees work. Apple's "central function" employees are believed to be relocated to Battersea, including individuals in finance and human resources. The 42-acre location isn't dedicated solely to Apple, with various other residential, office, and retail shops planned for the area. The Cupertino-based company is predicted to occupy about 40 percent of the total office space at Battersea once everything is finished, with enough room for 3,000 employees. Apple will occupy the top six floors inside the former boiler house around a huge central atrium. There will also be three floors of shops, 253 apartments around a “garden square in the sky”, a 2,000-seater auditorium and cinemas in a scheme designed by London architects Wilkinson Eyre. The first tenants will move into the Battersea complex's apartments as early as December, with shops and restaurants coming in the spring of 2017. Apple will keep working in various other London offices -- including locations in Hanover Street and James Street -- until the completion of its section of Battersea in 2021. In California, construction on Apple Campus 2 is continuing to inch closer to the site's expected completion by the end of the year. The newest drone video shows the 2.8 million square foot campus with a nearly-complete main building as workers begin to focus on landscape additions and finishing up the glass facade of the circular building. Well you never know, with Brexit and Ireland having to ask for more tax perhaps they can move their entire EU headquaters over here in a few years time..
My biggest association with this place is Ark of the Arts in the excellent movie Children of Men. Brexit makes it impossible for U.K. to get Apple's EU headquarters. And Ireland still has the lowest corporate tax rate (that they didn't ask from Apple and now have to) in EU and U.K. so that's no reason to move either. That's the power plant on the cover of Pink Floyd's Animals..
My all-time favorite album and Dogs is my all-time favorite song. Pure brilliance! Perhaps they'll be a giant inflatable apple flying over the site! If they can afford to rent that much office space in that particular new development then they can afford to pay full wack to the tax man in the UK especially since they have been gouging us on their prices for years. If you convert the tax they have deliberately evaded globally (along with Alphabet, McDonalds, Starbucks, Amazon - Oh look all US companies!) into hospitals and schools, their host Nations societies would be significantly better off. Like so many knighted individuals Ive should be stripped of his honour for working for such a morally bankrupt company.